Intel® Core™ 8th Gen processors provide you with a faster and easier experience with more flexibility than the previous generation. Improved performance and responsiveness, impressive media and display and advanced content creation give you the ultimate PC for your exact needs. 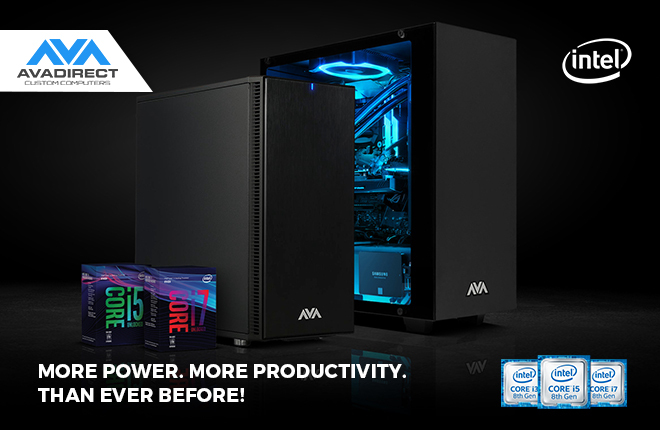 An AVADirect system powered by Intel's latest generation will bring you to a whole new level of gaming. Revel in the powerful and fluid experience of extreme performance, high framerates, and lifelike visuals.